Bringing research into the world of industry. This is what Phi Drive, Innovative SME of Comestero Sistemi group, has always set as a goal and thanks to which it has received awards and participation to H2020 European innovation project. It has placed all his skills and knowledge into the field of FEM analysis and engineering optimization, quickly becoming a point of reference for the industrial automation. Don’t miss the complete article inside the engineering magazine “Automazione Integrata”. 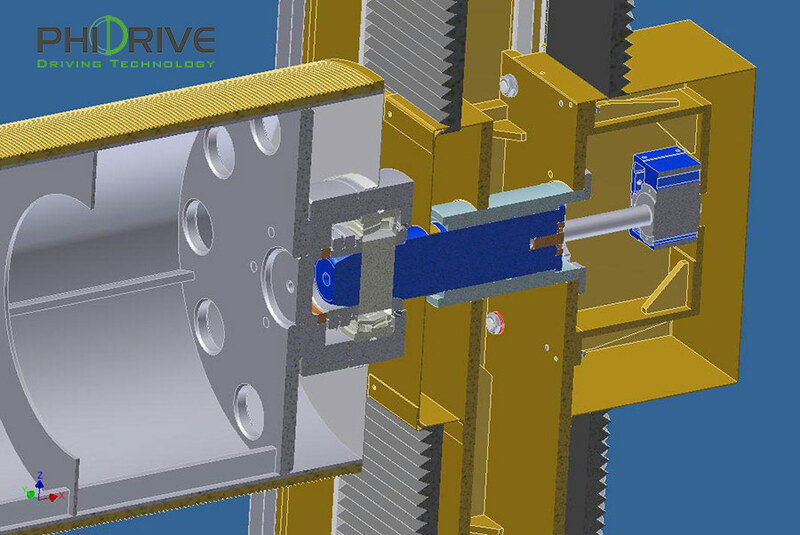 Phi Drive was able in a few years to bring innovation to many fields of industry: from aerospace to medical, passing through the metrology and industrial automation field. Among the types of FEM analysis proposed by Phi Drive, the structural analysis (static and dynamic) of kinematic mechanisms and mechanisms in general (bearings, recirculating ball screws, …), as well as the fluid dynamic analysis of aerodynamic or squat bodies stand out. Innovate with the aim of developing highly technological products. In this regard, Phi Drive considers it of fundamental importance to work side by side with the customer, with whom it interfaces periodically through project meetings. Only after the definition of the best development strategies is it possible to continue with the subsequent design phase; the performances of the proposed solutions are evaluated through FEM analysis. However this may not be sufficient to create a highly technological and innovative product. The entire design phase in Phi Drive is based on a “building blocks” approach, of which the FEM Analysis represents only one phase of the entire development process. One of the most important steps concerns the optimization of the obtained solutions. For this reason over the years Phi Drive has developed «OptoPhi», a tool of its own that, in close interaction with FEM analysis, is able to identify the best design solution among the many proposals. Thanks to its skills and tools, Phi Drive has also integrated piezoelectric technology in its range of high precision linear and rotary positioners. An advanced flexure system, designed by FEM analysis, allows its products to reach a high level of precision with efficient layouts, high performance and cost-effective. A reference point for those who want to innovate!